The Hub » SALE on SALE: Extra 10% OFF Everything! 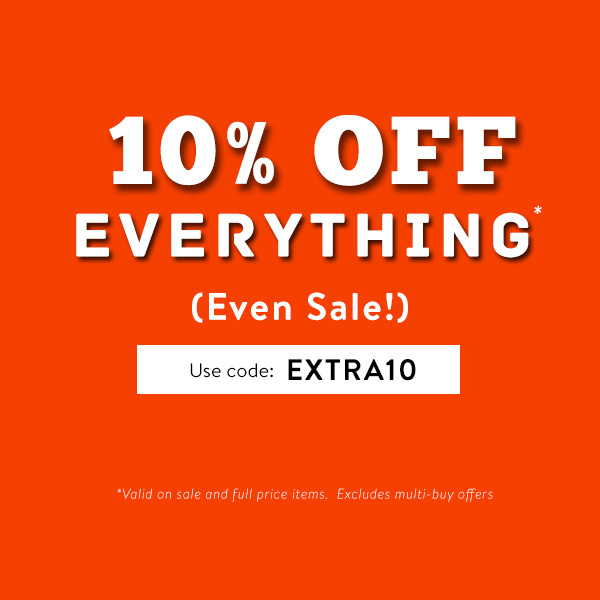 SALE on SALE: Extra 10% OFF Everything! Get an extra 10% OFF Everything... includes Sale! Use it on top of our 30% OFF Holiday Shop promotion as an added bonus or shop our Men's & Women's Sale to find the best deals! Use code: "EXTRA10" on top to get an Extra 10% OFF!